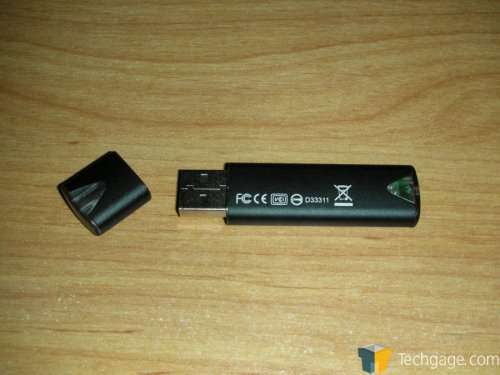 So, you are looking for a high-density thumb drive, but don’t want to have the slow speed that usually coincides. 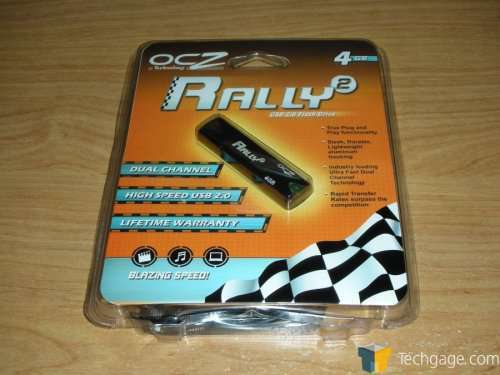 OCZ recently launched 4GB versions of their extremely popular Rally2 thumb drives, and they prove to be a winner. Faster than most of it’s competition, and cheaper to boot. 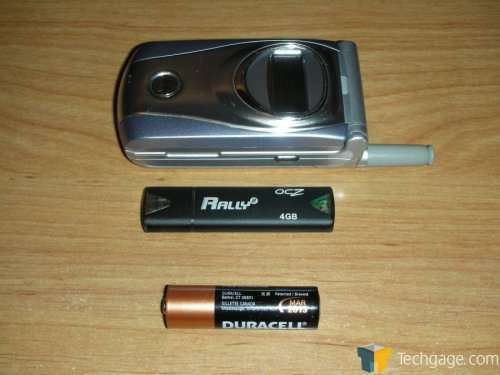 Flash memory is one piece of technology that have made many lives easier. I know I rely on mine daily, even if I don’t leave the house. There’s no doubt that they are handy, and that’s why they are so popular. It’s also why so many companies produce thumb drives… too many to count. Because of this, competition is fierce. How exactly do you develop a better thumb drive than everyone else? Make it faster, of course. 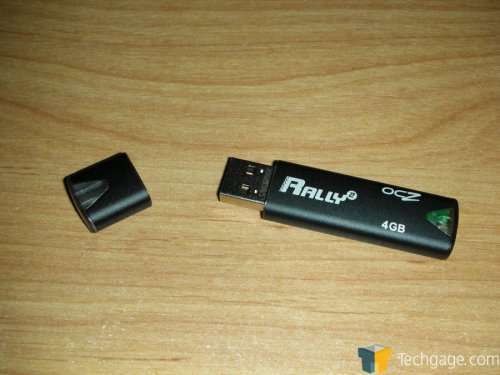 We originally took a look at the 2GB Rally drive last year, and were impressed with the great speed that it delivered. 23MB/s Read and 18MB/s Write is welcomed when you are copying these large files. 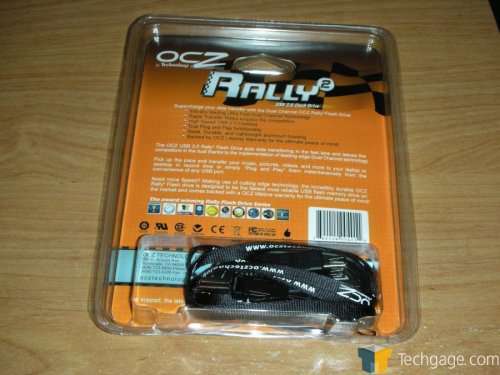 OCZ has silently released their 4GB version of the Rally2, which is slowly starting to make it’s ways into a few US e-tailers. What does the 4GB version offer over the 2GB? Well, as opposed to the previously mentioned 2GB Rally review, this is actually from the Rally2 series. They differ only in the looks, but the inside technology is virtually the same. 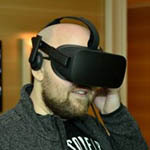 Despite the Rally2 4GB still using the dual channel technology, we can expect it to be slower than the 2GB version simply due to it’s larger density. We seen this in our Corsair Voyager 4GB review. 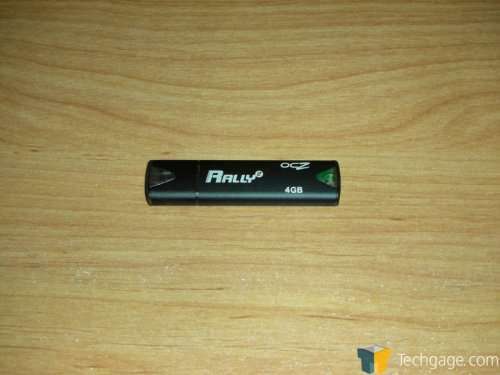 As it stands though, the Rally2 looks to be the fastest thumb drive on the market, although Super Talent have just launched similar drives, so OCZ may finally have some competition. We receive the drive in a clean blister pack, with orange backing. This is not unusual with OCZ, and protects the drive well. However, I tend to shun the blister packs that require you to haul out a cutting blade to rip it open. Your chances of getting cut are far higher, than if it was one that opened up like a book. Either way, the product inside was well protected. 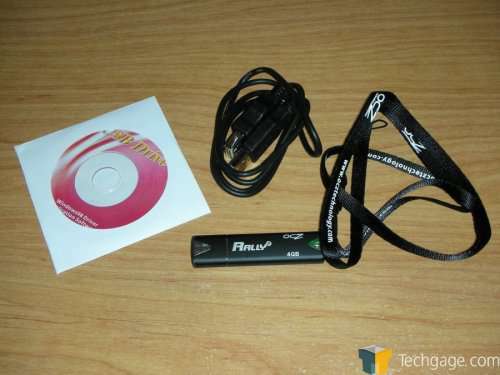 After tearing the package open, we reveal the Rally2, a CD-rom for Win98 systems, a USB extension cable and a lanyard. Overall, the drive is very sturdy, due to having an aluminum chassis. The cover stays on quite well compared to the original Rally, but no doubt after a few months of use it will want to randomly fall off. Ok, you’ve oogled enough. Let’s move onto the performance!